It’s that time of year again! The sun is out, school is out and books come out from their hiding places in your closet or library shelves. That’s right—summer reading clubs make reading cool again. Even though we read more in the summer naturally, it can be easy to let life get in the way of your summer reading club goals. If you have a doctor’s appointment or need to pay your bills, you schedule it on your calendar. I like to set calendar reminders on my phone that I don’t clear until I’ve achieved the task. Why not do the same for your summer reading time? Sure, we can say we’re going to read. But after the 9-to-5 and chores to-do list, it’s much easier to turn on the TV or stream a movie than to pick up a book and read. 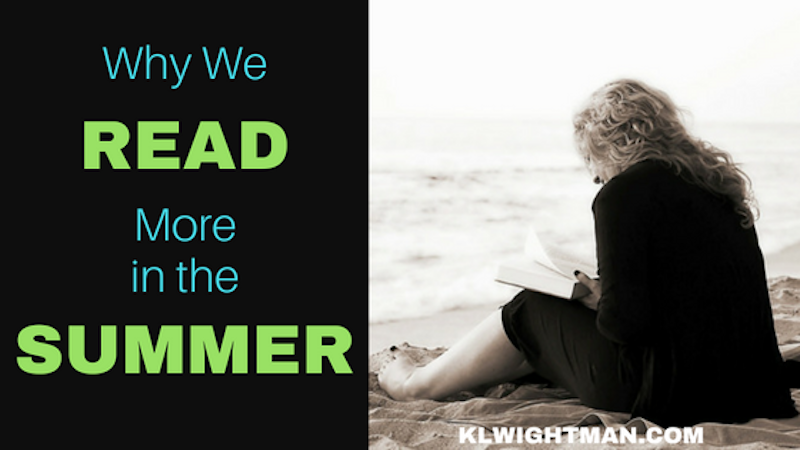 For summer reading club success, we need to prioritize reading back into our lives. Give it a regular spot in your daily routine by dedicating at least 30 minutes to reading. You’ll be glad you did. You’ll find more success during your summer reading club by reading books that you actually want to read. In fact, you’ll make time to read because you want to get back to the story or inspiring facts. So brainstorm a list of books that you keep saving to read on a rainy day. Now is the perfect time to buy them, check them out from your library or pull them from your own collection. Most summer reading clubs for adults measure success by how many hours you read instead of how many books you finish. But that doesn’t mean you can’t set a reading goal for yourself. Review the list of books you want to read this summer—then pull out your schedule. How many vacations, doctor’s appointments, baseball games and summer camps are on your calendar? Knowing how your summer is going to go will help you choose a goal that’s realistic and attainable. Where you read should be a welcoming experience. Not only should you want to go there to read, but that you’ll also maintain focus to read your book. Create a space that’s minimal on distractions and noise. If you live in a full household, close the door and hang a sign that requests no interruptions. Set the mood by burning candles or playing instrumental music on low. For example, I enjoy reading in a room that’s away from reminders of all the chores I need to complete. And one day a week, I treat myself to a packed dinner and an evening reading by the beach. Balance your summer reading club space with relaxation and energy so that you want to hurry there and not hurry away from your book. What are your tips and tricks for summer reading club success? Share your strategy in the comments section below. Great post. I participate in a couple summer reading challenges but this year, I need to also focus on my reading so we’ll see whether I am able to keep the balance.